Get access to all of our courses, conferences, and curriculum in one spot. The Accelerator is closed until July 19. Membership is $29/mo or $290/year. Take an online class in arts integration, STEAM, PBL, Assessment or Classroom Management. Ready-made lessons, powerpoints, assessments and student resources for grades K-12. Bite-sized PD videos grouped into themes each month. 1-2 hours each. Resources included. Watch over 25+ sessions during each conference event. Handouts and unlimited viewing included. Professionally-designed resources, forms, idea sheets and more. Download and start using right away. 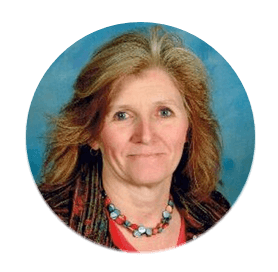 Need to see a strategy or arts integrated lesson? These videos show examples in real classrooms. The Arts Integration and STEAM Accelerator is a personalized learning platform for integrating the arts in any classroom and at any teaching stage. So you can skip the overwhelm and get back to the joy of teaching. This affordable membership provides you with everything you need to add rocketfuel to your teaching and boost your success with Arts Integration and STEAM. Inside, you’ll find all of our courses, conferences, and resources, along with a full video library of arts integration and STEAM in action – you’ll see lessons and strategies being used with students in real-world settings. Plus, you’ll get access to live coaching calls to help you troubleshoot your challenges and get tailored advice and support for your next steps. It’s personalized learning for teachers, by teachers! 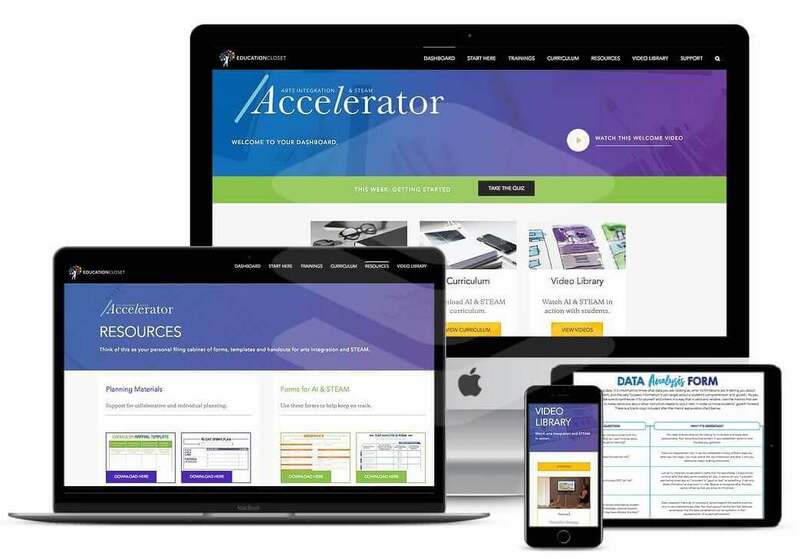 This is your one-stop shop for connection, inspiration, resources and streamlined trainings to help turn YOUR classroom into the most innovative space in the school. 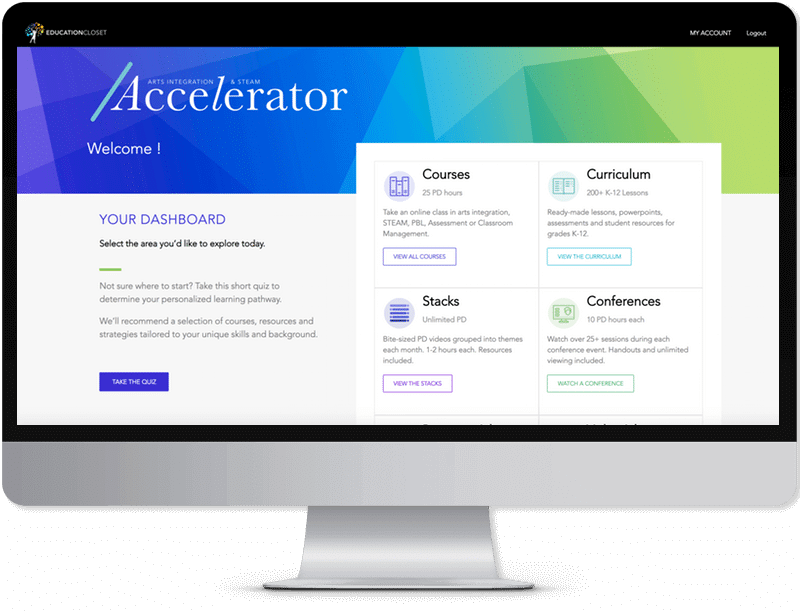 The Accelerator will keep you focused on and working towards using arts integration and STEAM effectively based on your own personal goals (without spending hours scouring the whole internet for your next lesson, conference, course or PD hours). THE ACCELERATOR IS CURRENTLY CLOSED. Want to get priority access when the Accelerator opens again? Get on the waitlist.